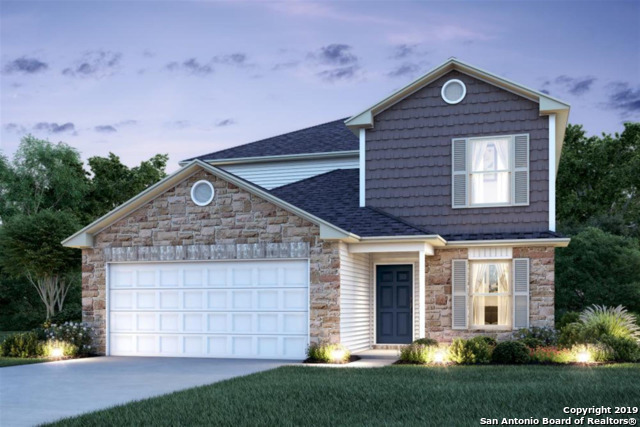 All HORIZON POINTE homes currently listed for sale in Converse as of 04/25/2019 are shown below. You can change the search criteria at any time by pressing the 'Change Search' button below. "Wow, what an opportunity! Spacious 5 bedroom, 3.5 bath and loft/game area in new upcoming Horizon Pointe with full 3 car garage. Just a little over a year old home. Mater bedroom down. Living room can be made into office if needed. Gated community, extra large yard, covered patio, and water softener. 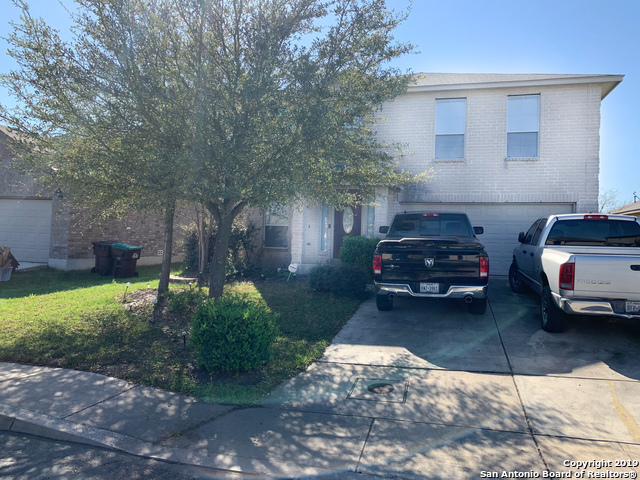 Easy access to I-10"
"Beautiful 2 Story, 3 Bedrooms, 2.5 Baths All Bedroom Located Upstairs, Island Kitchen with Granite Counter Tops, Stainless Steel Appliances, Tile and Carpet Floors, Large Covered Front and Back Porch, 3-car garage with Openers, has a large .2 Acre lot. A/C unit is zone controlled, Located in a GATED COMMUNITY in the Enclave, Residents of Horizon Pointe enjoy amenities that include a pool, park/playground and jogging trails. 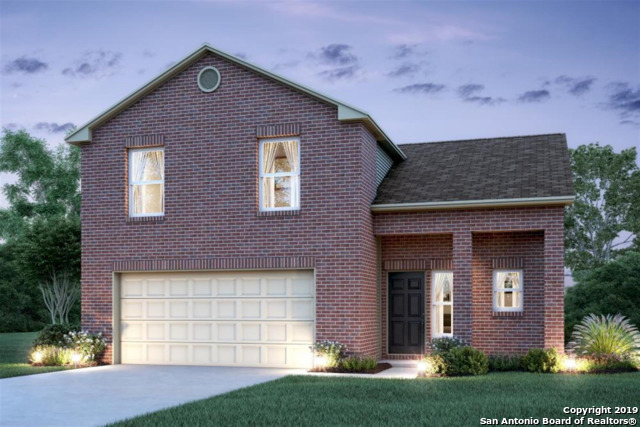 Easy access to Fort Sam Houston, Randolph and Lackland AFB." "WELCOME HOME: IMMACULATE 5 BEDROOM 2 1/2 BATHS WITH GREAT ADDITIONS AND ACCENTS, PRIDE OF OWNERSHIP SHOWS IN THIS WELL TAKEN CARE OF 3 YEAR YOUNG HOME THAT OFFERS FORMAL DINING ROOM OR OFFICE SPACE, LARGE FAMILY ROOM THAT LOOKS INTO BEAUTIFUL KITCHEN W/GRANITE TOPS & 42 CABINETS, LARGE MASTER SUITE WITH SEP/TUB & SHOWER IN MASTER BATH, WITH LARGE MASTER CLOSET, 4 OVERSIZED SECONDARY BEDROOMS WITH LARGE GAMEROOM UPSTAIRS, COVERED PATIO & OUTDOOR BBQ IN BACKYARD." "This beautiful 4 bedroom, 3.5 bath, 3 side brick home sits on an oversize lot. The home is on a cul de sac in a gated community. The Master suite is downstairs with wood floors throughout the main areas on 1st floor. Large game room/ additional living room upstairs for entertaining. Spacious rooms for people of all ages. 3 car garage boasts plenty of storage space. Covered patio in back with plenty of room for pets and family BBQ's. Located close to IH10 and 1604." 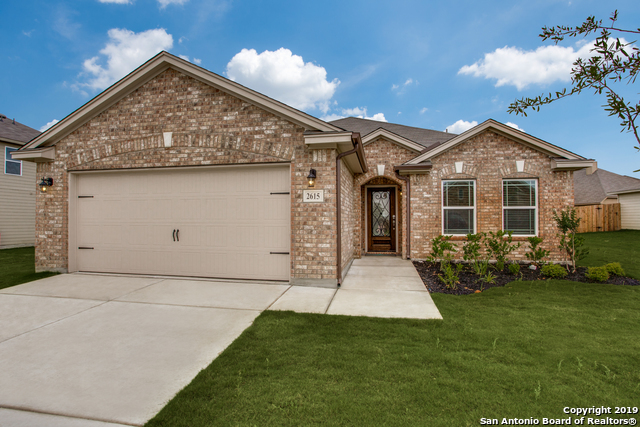 "WHY BUY NEW when you can OWN this stylish, 2 years young Centex home with modern finishes in Horizon Pointe. Interior highlights include: open concept floor plan, 16x16 inch tile through the main & wet areas, crown molding, white cabinets with 42 uppers, ss appliances, granite counters in the island kitchen, master on the first floor in addition to a study, wrought iron balusters on the stairway, game room with 3 bedrooms & a bathroom up, & a covered patio. Seller offering $3,500 for buyer's clo"
"Convenient to Randolph AFB, SAMMC, Fort Sam. 1 story, 3 bedrooms, 2 baths. Plenty of rich architectural details throughout. Fully landscaped yard with sprinkler system. Lots of ceramic tile in all the wet areas. 42in cabinets, granite kitchen counter tops. Energy efficient featuring: energy star appliances, double pane windows, and radiant barrier. Covered Patio, No City Taxes. USDA available. Ready in May." "MLS# 1364799 - Built by Rausch Coleman Homes - April completion! ~ Spacious 2 story 4 bedroom 2.5 bathrooms 2 flex rooms 2 car garage makes this a great family home! Luxury vinyl plank flooring in living, dining and kitchen is durable and easy care. Downstairs master suite provides privacy and comfort. Master bath has separate shower and soaking tub, double vanity has cultured marble counter tops. Laundry down as well as half bath. Upstairs 3 secondary bedrooms and a flex room!" "Walk your kids to onsite Elem school! Community amenity center w/ pool and playground. Beautiful, gated section of Horizon Pointe with all 65' wide homesites and a huge covered patio (17x10) and 3-car garage!!!. Lots of upgrades such as tile in wet areas, stainless steel appliances, granite in kitchen, separate tub and shower in Owner's Bath. Home is complete and ready for a quick move-in. Take this home off the market today!" 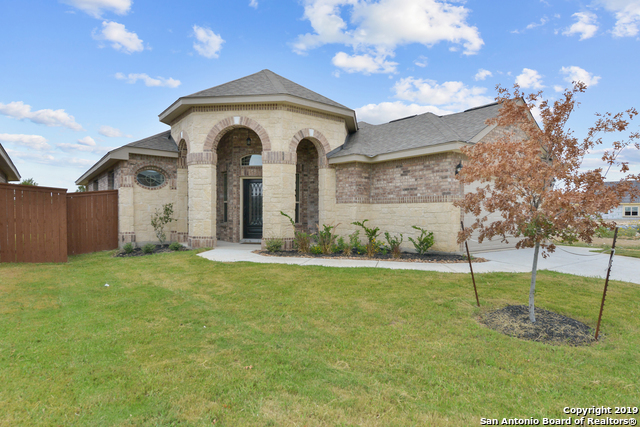 "MLS# 1364270 - Built by Rausch Coleman Homes - March completion! ~ The perfect one story home! Open kitchen includes stainless steel appliances 42 cabinets and subway tile back splash! Beautiful slope ceilings throughout the home enhance the spacious master suite that includes tub shower and cultured marble vanity tops and walk-in closet. Roomy secondary bedrooms are separated by a full bath." "Walk your kids to onsite Elem school! Beautiful, gated section of Horizon Pointe with all 65' wide homesites, covered patio and kid's retreat for all their toys! 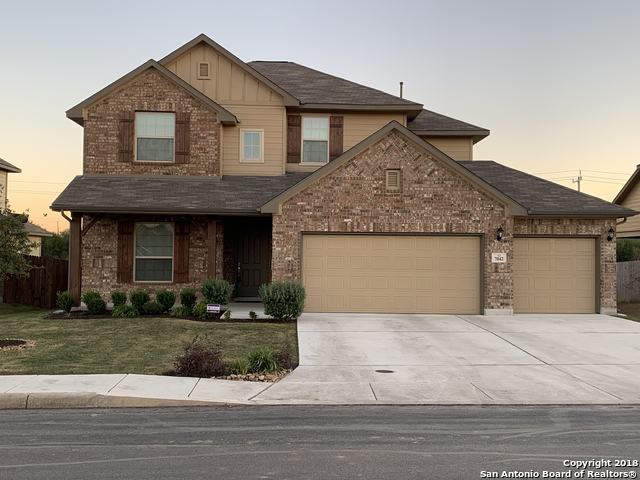 Tons of upgrades such as an 8' wood front door, stainless steel appliances, granite in kitchen, tile in all wet/common areas, separate tub and shower, and a large rear patio. Home is under construction and will be ready for move-in December 2018. Take it off the market today!" 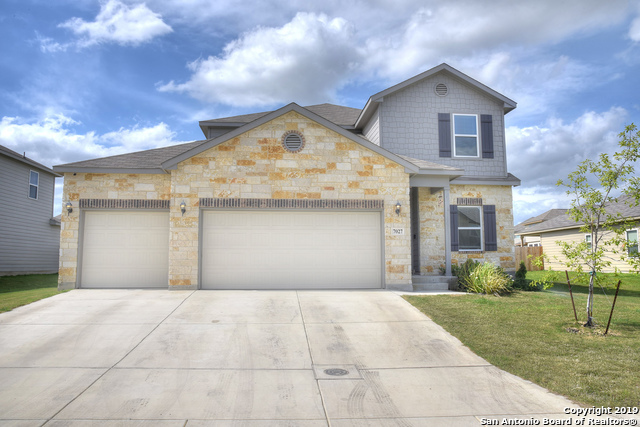 "MLS# 1364277 - Built by Rausch Coleman Homes - March completion! ~ The perfect one story home!! Open kitchen includes stainless steel appliances 42 cabinets and subway tile back splash! Beautiful slope ceilings throughout the home enhance the spacious master suite that includes tub shower and cultured marble vanity tops and walk-in closet. Roomy secondary bedrooms are separated by a full bath.."
"Convenient to Ft Sam, SAMC/BAMC , Randolph AFB. This single story home has it all. Open floor plan, 4 Bedrooms. No neighbors live behind the home!!! Private backyard great for family BBQ's. Just minutes from IH10 and 410. Nearby school, shopping, dining. Giving you a peace of mind owning your own home that is only 2 years old. Immaculate condition, A Must see. It won't last long." 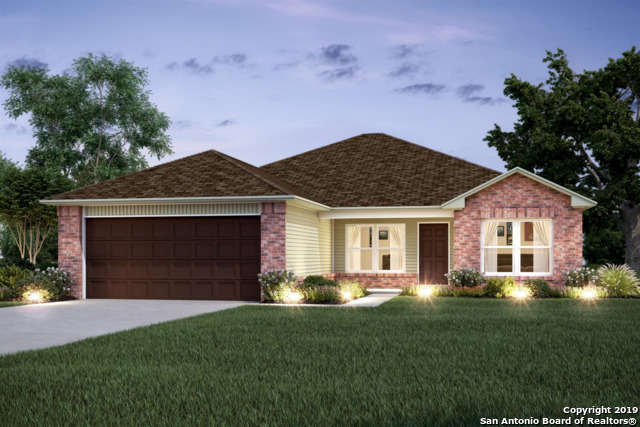 "MLS# 1374531 - Built by Rausch Coleman Homes - May completion! ~ The perfect one story home for a family of four or a single person! Open kitchen includes stainless steel appliances 42 cabinets and subway tile back splash! Separate Tub shower and cultured marble vanity tops and walk-in closet. Roomy secondary bedrooms are separated by a full bath." "MLS# - Built by Rausch Coleman Homes - April completion! ~ Beautiful 2 story home has master bedroom down stairs. Home has a great kitchen and dining area great for entertaining, has a fabulous game room and a flex room & no backyard neighbor. 3 bed, 2.5 bathrooms, 2 car." "MLS# 1364284 - Built by Rausch Coleman Homes - Ready Now! ~ This beautiful 3 bedroom 2 bath home is amazing for a family just starting out. It has two living spaces which are great for entertaining. The Master bedroom is equipped with two closets. The master bath is made with separate Tub and Shower." "COME AND SEE THIS BEAUTIFUL HOME AND CALL IT YOUR HOME A 3 BEDROOM 21/2 BATH TWO STORY HOME IN HORIZON PONITE, FEATURES INCLUDE CROWN MOLDING THROUGHOUT, WOOD LAMINATE FLOORS, AN OPEN FLOOR PLAN, SPACIOUS KITCHEN, TWO DINNING AREAS, MASTER RESTROOM HAS SHOWER AND GARDEN TUB AND DUAL VANITIES, NICE SIZE SECONDARY BEDROOMS WITH CEILING FANS, COVERED PATIO WITH A NICE OVERSIZED BACKYARD"
"MLS# 1364279 - Built by Rausch Coleman Homes - Ready Now! 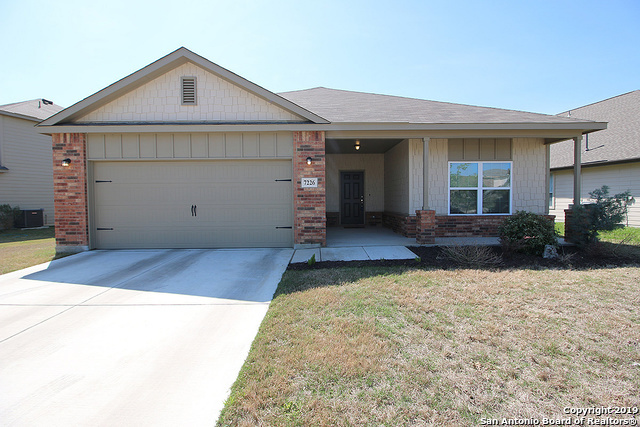 ~ This beautiful 3 bedroom 2 bath home is amazing for a family just starting out. It has two living spaces which are great for entertaining. The Master bedroom is equipped with two closets. The master bath is made with soaker tub shower combination."